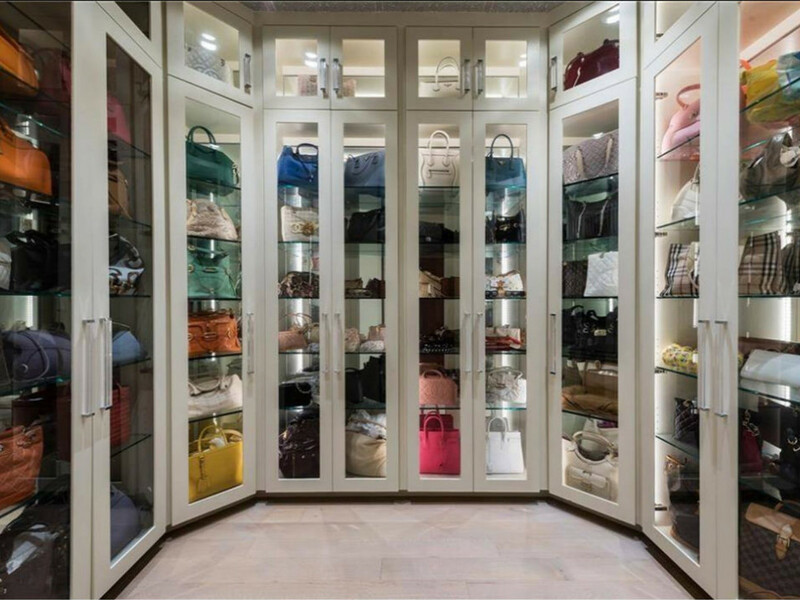 A massive modern mansion with a closet dedicated entirely to handbags is for sale in Highland Park. 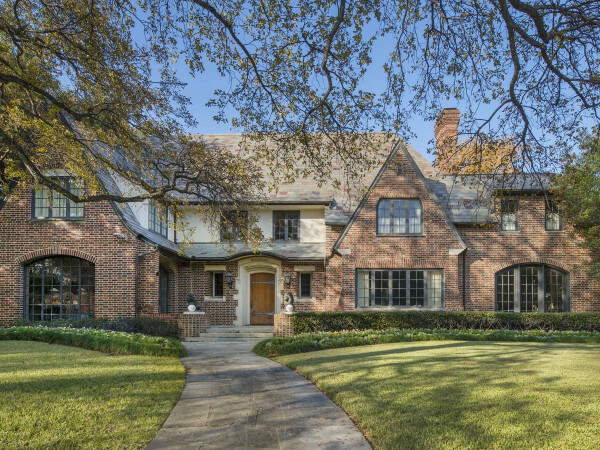 The house is on Lexington Avenue, a street in Old Highland Park known for its architecturally significant estates. 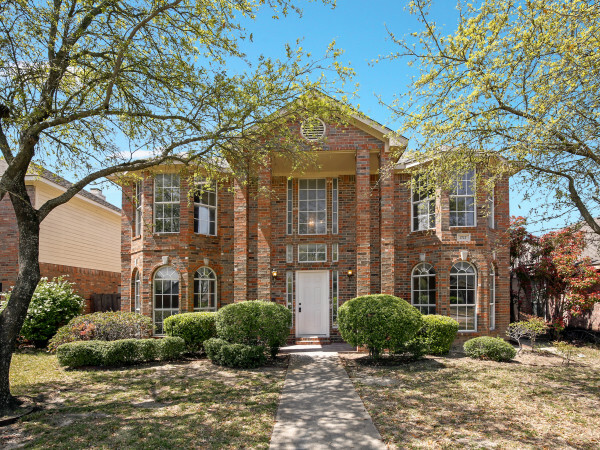 Surrounded by parks, including Davis Park, Prather Park, and Abbott Park, as well as the Katy Trail, it's also just a few walkable blocks from the shops and restaurants on Knox Street. 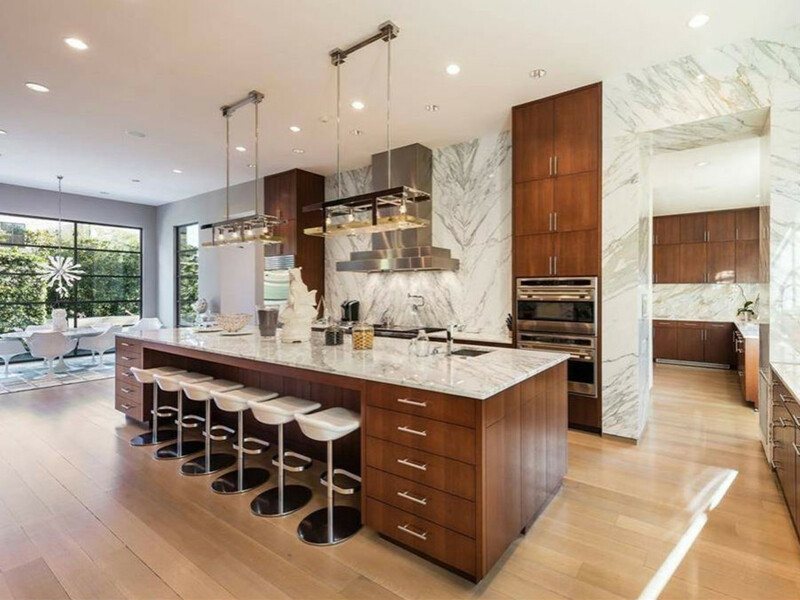 Located at 3701 Lexington Ave., the property is listed for $9,950,000. 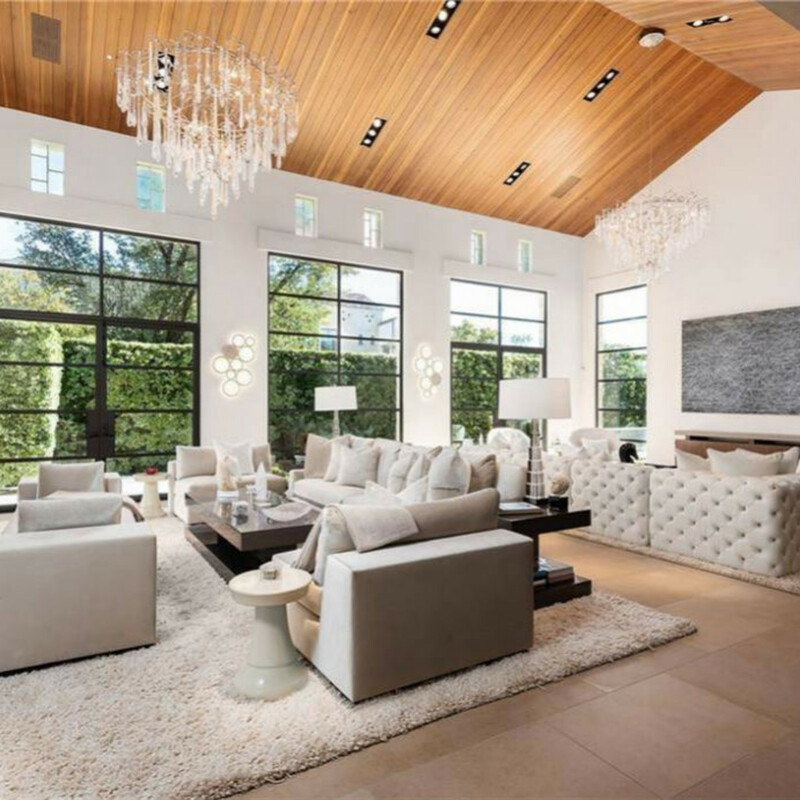 Built in 2005, the 8,156-square-foot abode sits on a .4-acre corner lot, and has 12 rooms, with 3 bedrooms, 4 full bathrooms, and 3 half bathrooms. 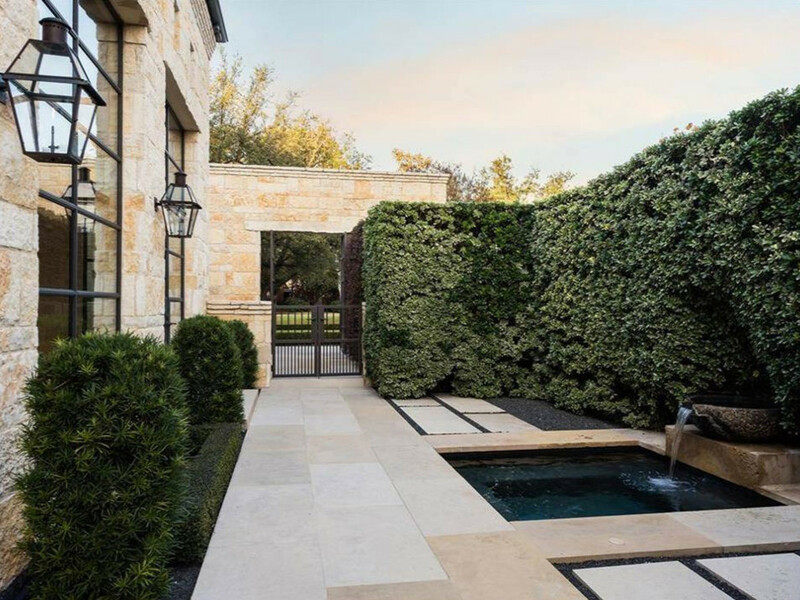 It incorporates name-brand materials such as the winding staircase in the entryway made from slabs of Leuders limestone. 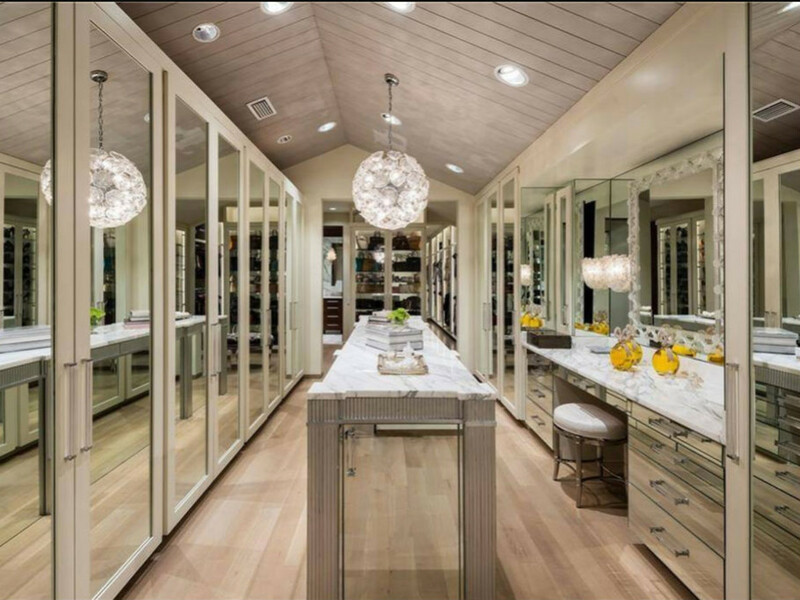 His-and-her bathrooms are made from Calacatta Gold marble, and the closet is described as "great room-sized." 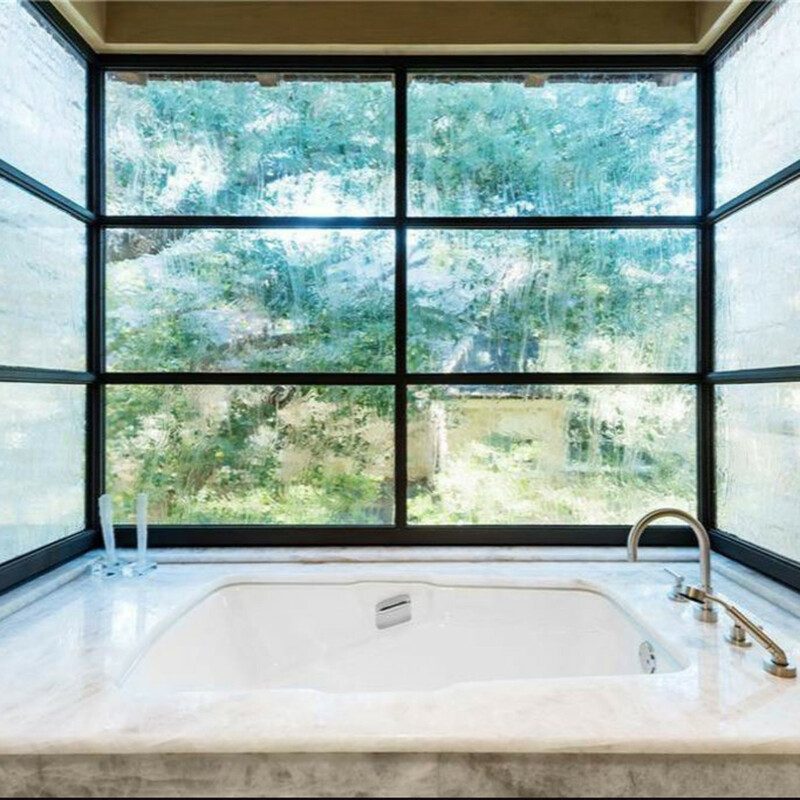 The master bath has a Victoria + Albert bathtub, towel-warming rack, and flat-screen TV. 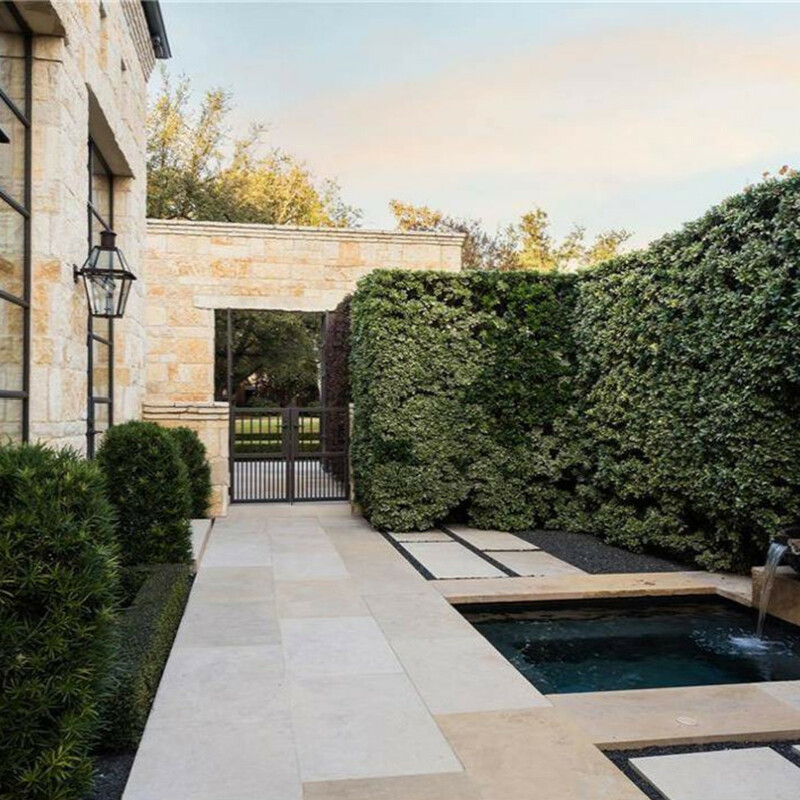 In addition to stone and marble, the home uses materials such as steel and woods, including rift and quarter-sawn white oak plank hardwood floors, and custom steel and glass windows that are used throughout the home. 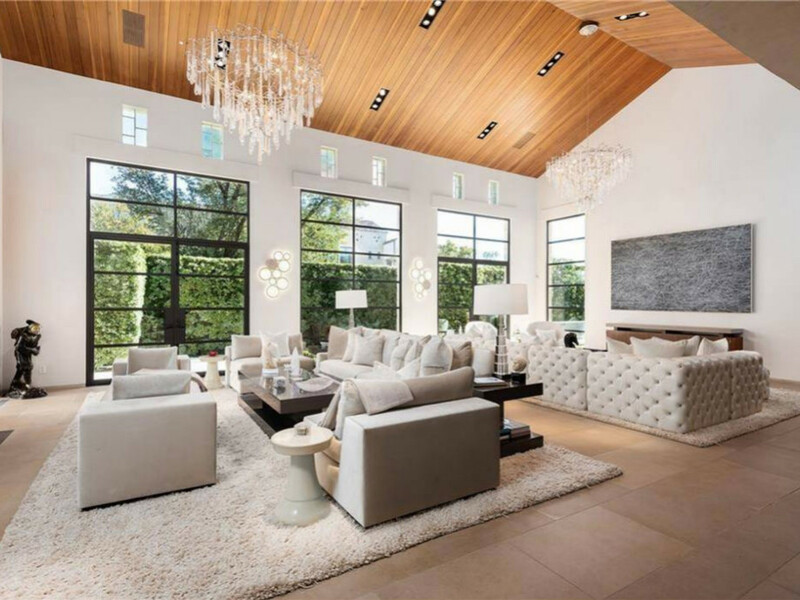 The living spaces boast vaulted Douglas Fir plank ceilings and spectacular chandeliers. 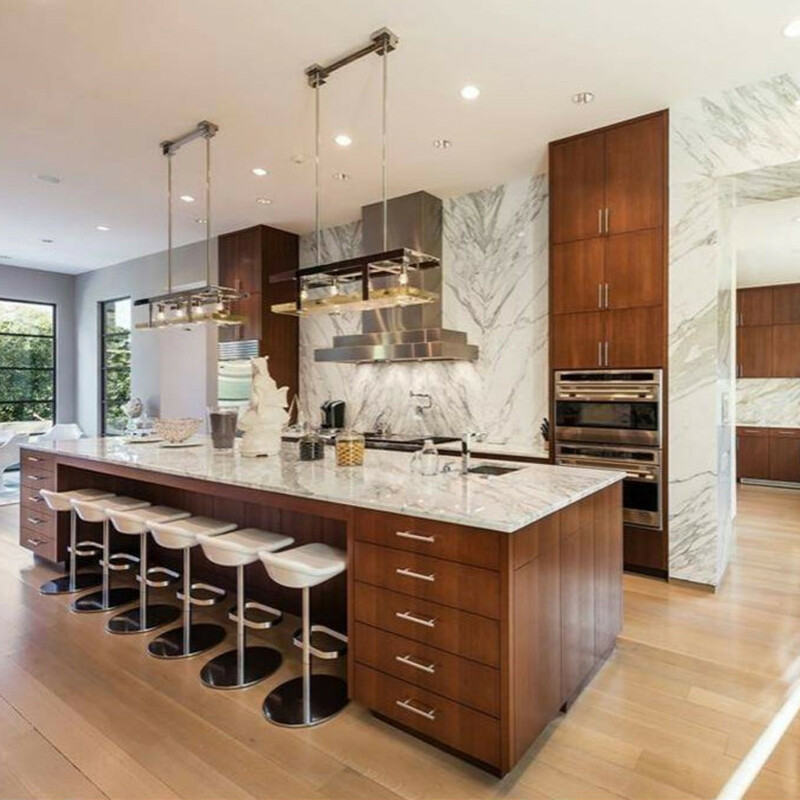 A state-of-the-art culinary kitchen includes a breakfast bar with seating for six, walnut cabinetry, book-matched marble, and stainless appliances, including two Sub-Zero refrigerators, two double convection ovens, two Miele dishwashers, two Viking warming drawers, and a six-burner Wolf gas range. 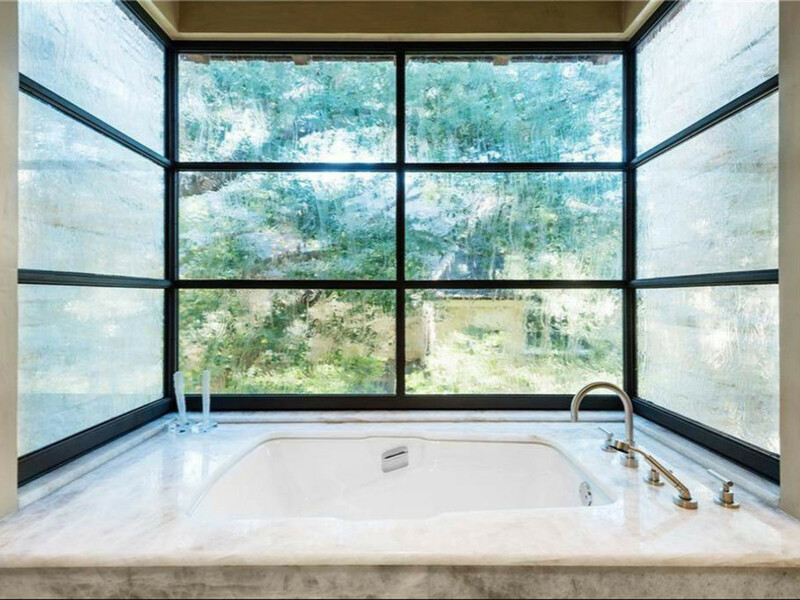 Aww, only one gas range? 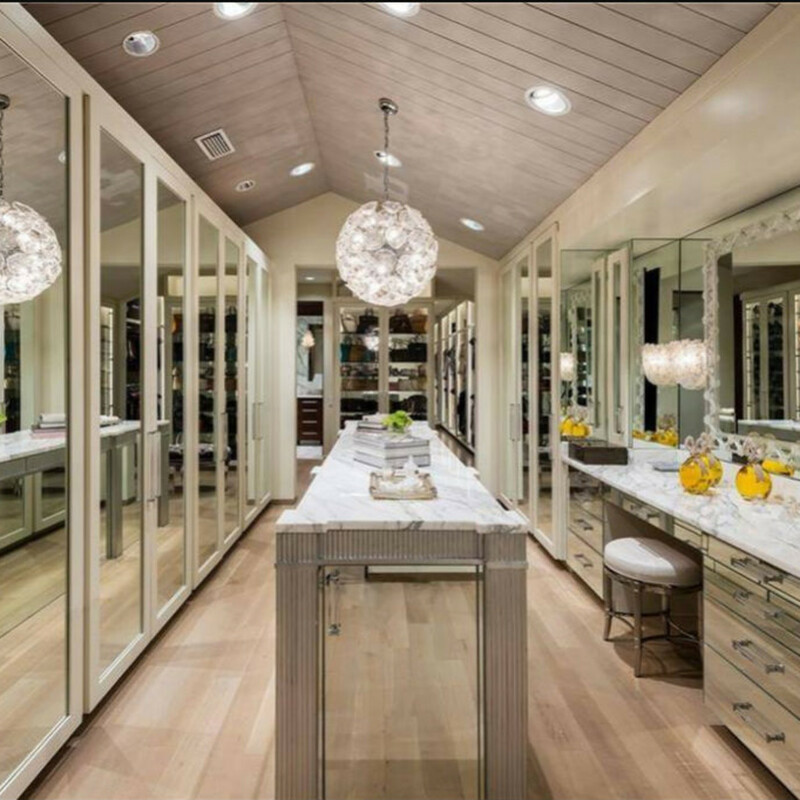 Closets feature Murano chandeliers, Murano sconces, Calacutta marble counters, and mirrored and glass display cabinets. 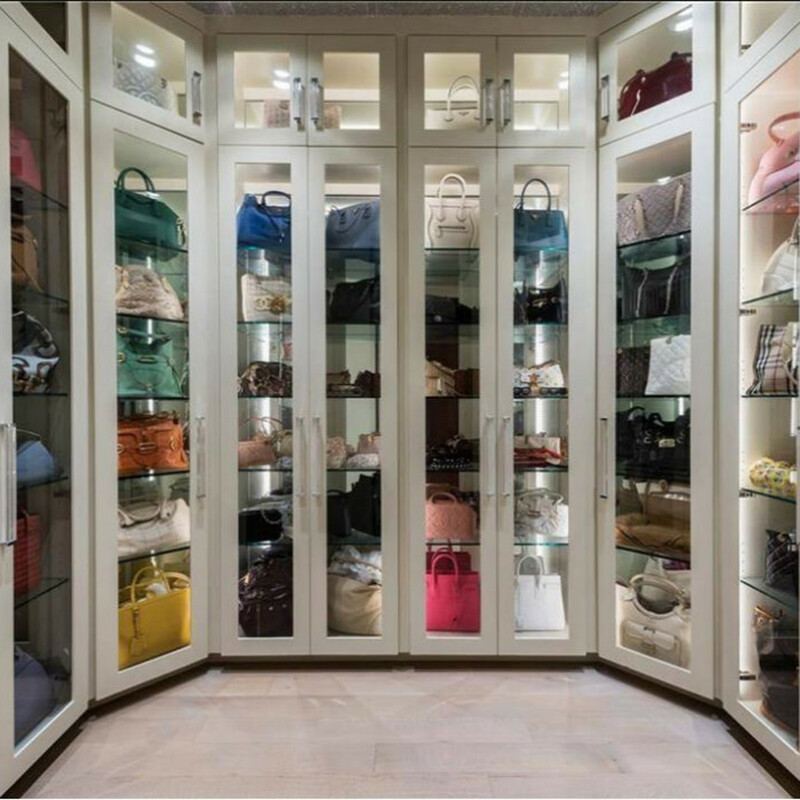 The handbag closet contains glass-door enclosures with individual shelving for up to 80 purses, backlit for easy identification and display. 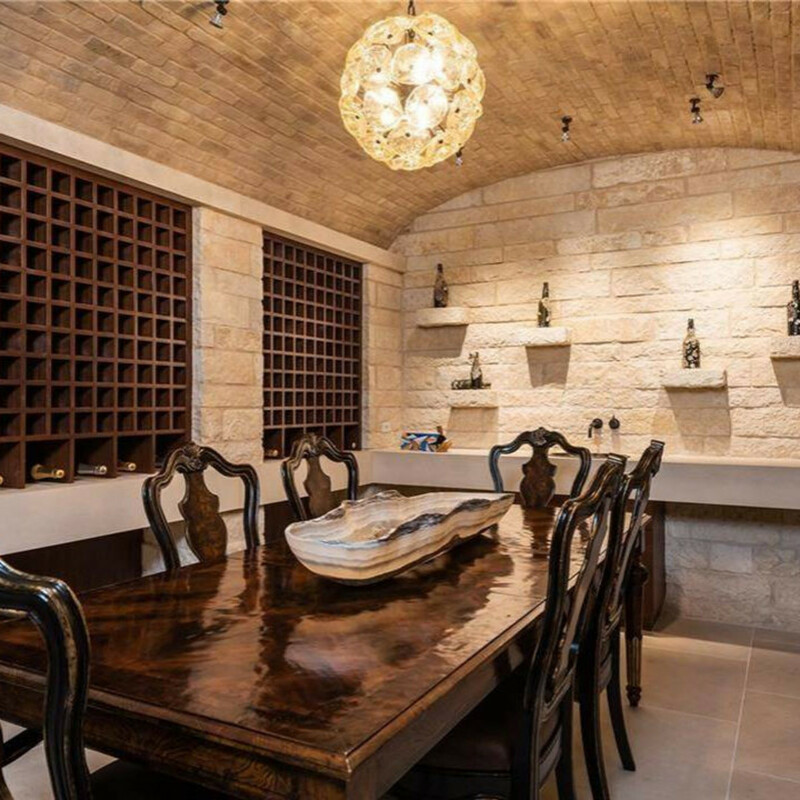 There's also a chilled wine room lined in stone with a table that can seat up to eight, and slots for up to 400 bottles of wine; a media room; an exercise room; an elevator; a pool, and a three-car garage with rubber tile flooring. 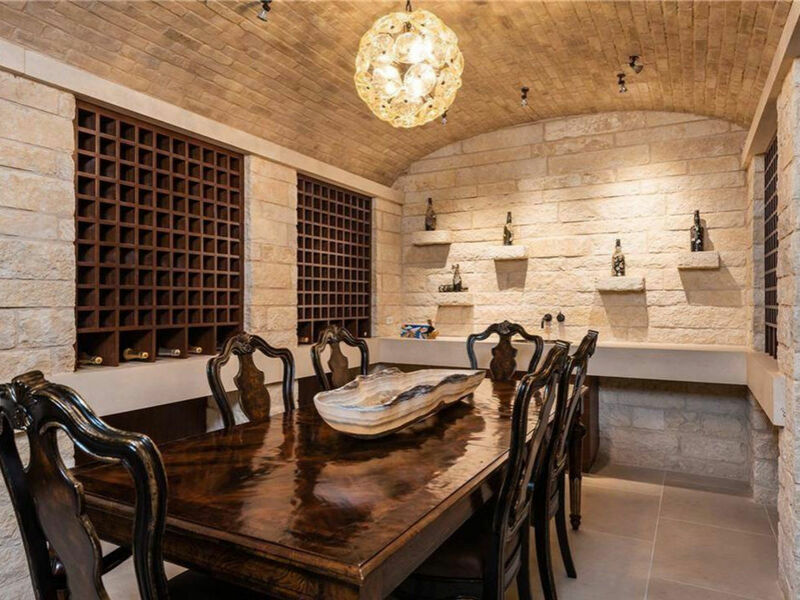 The home is currently appraised at $5,241,950. 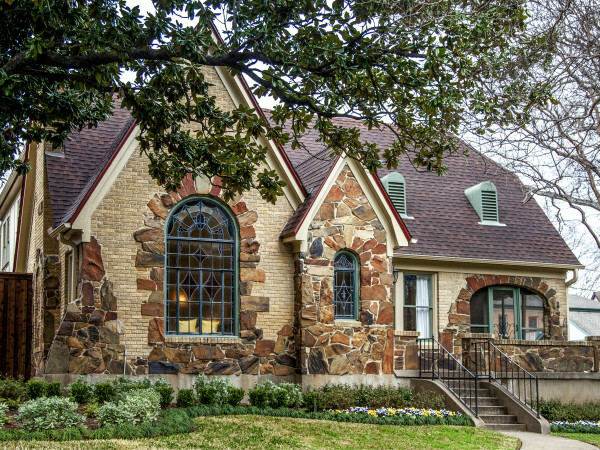 It was owned by a doctor and his wife who sold it in 2014; it's currently owned by an unnamed trust.